The Mayor of London has decided to rip up the city’s existing planning rules and wants home builders to develop sites with higher density housing to substantially increase the number of homes. Sadiq Khan said he has removed density limits from the new draft London Plan in a bid to get developers building more affordable homes, calling the constraints outdated and rigid. He wants 50% of new homes to be affordable. In his new draft London Plan, the capital’s strategic planning bible, the Mayor has set out how he will ask home builders to maximise the use of valuable land in the city and that means developing sites with more homes on them than existing developments nearby that would have had to follow previous guidelines. He believes increased numbers of homes should be built on sites near town centres or good public transport, reducing the need for car parking spaces within developments. The Mayor’s Plan says proposed development on sites that do not clearly maximise housing density should be refused. He wants councils, working with developers and housing associations, to adopt a case by case approach to each site to determine its capacity based on surrounding infrastructure and the new policy also emphasises the importance of good design and will be applicable to buildings of all types, including low rise, medium and high rise. He explained that this new approach is supported by a far stronger policy on housing standards, including minimum space standards, which sets out how a home should be designed. The Mayor is clear that, while he is encouraging home builders to make best use of land in the capital, he expects councils to refuse any applications that come forward with homes that do not meet his new standards. The draft London Plan also includes the Mayor’s key strategic housing commitment for 50% of all new homes built to be genuinely affordable, to be achieved through planning, investment and building on public land. 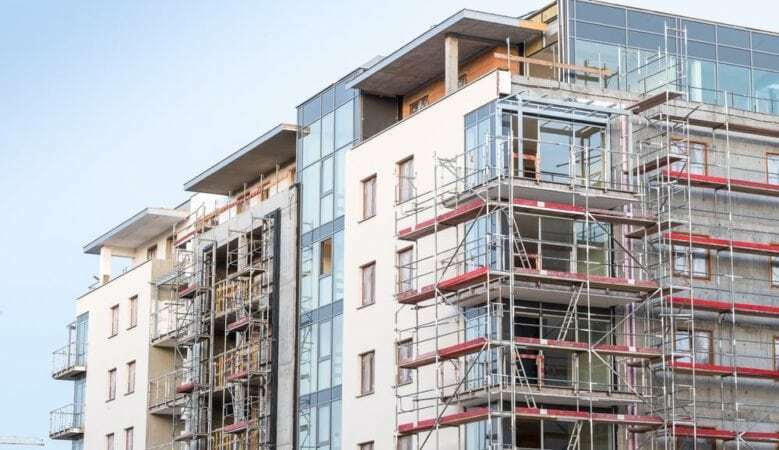 It strengthens his new approach offering private developers a fast track route to planning permission if they reach a minimum of 35% affordable. New ambitious targets have been set for councils across the capital, as part of an overall London Plan figure of 65,000 homes a year, roughly double the current rate of home building. For the first time, targets in the Plan show how capacity can also be reached on small sites, which must now make a significant contribution to housing supply. It forms part of the Mayor’s commitment to stimulate growth for small and medium sized builders in the capital, which has for too long had an over reliance on London’s large developers building the majority of homes in the city. The Mayor is also using his London Plan to provide greater protections for industrial land while also looking at innovative solutions such as stacking up distribution sheds or encouraging development of industrial workspaces side by side with new homes to knit industry back into the fabric of the city. The plan also introduced new growth corridors alongside planned new infrastructure which will support the development of jobs and homes. These include Crossrail 2, Thames Estuary, Bakerloo line extension, Central London, Elizabeth Line East, Heathrow, Elizabeth Line West, Trams Triangle/London-Gatwick-Brighton mainline and HS2. He also wants a new approach to working with the wider South East region, exploring with willing partners opportunities for additional growth in sustainable locations outside London and he will support tall buildings as long as they are in the right places and to high design and safety standards. ‘With London’s population expected to increase by 70,000 every year, reaching 10.8 million in 2041, it’s vital we properly plan for growth with new affordable homes in every area of the capital,’ said Khan. ‘I am using all of the powers at my disposal in my first draft London Plan to tackle the housing crisis head on, removing ineffective constraints on homebuilders so that we can make the most of precious land in the capital to build more homes in areas with the best transport links,’ he explained. ‘My London Plan sets out how we are planning for the challenges our great city faces, but crucially focuses on my vision of a London that welcomes growth, celebrates its diversity and ensures every Londoner gets the opportunity to fulfil their potential,’ he added. According to Brian Berry, chief executive of the Federation of Master Builders, making better use of the many existing small sites that are scattered over London is essential to be able to build the number of new homes Londoners need. ‘The London Plan’s moves to favour appropriate residential development on small sites is therefore a welcome initiative. It will also boost and strengthen the capacity of small and medium sized house builders to build more new homes,’ he said. He pointed out that FMB research has consistently shown that a lack of available and viable land is the main factor constraining the ability of small builders to deliver more homes. Indeed, over half of SME house builders believe that the number of small site opportunities is, if anything, decreasing. He also pointed out that the London Plan goes further to address this issue than the proposed changes to national policy laid out in the Government’s Housing White Paper. ‘In order to reach the 66,000 new homes London needs to build each year, this renewed emphasis on small sites is vital,’ added Berry. The sheer scale of the housing crisis in London is unparalleled, according to Sir Steve Bullock, London Councils’ executive member for housing. ‘The Mayor’s work to set out a vision for London’s development and deliver it with London boroughs and other key partners such as TfL and the construction industry demonstrates his understanding of how only sustained and co-ordinated efforts across different sectors can hope to fix the capital’s broken housing market,’ he said.